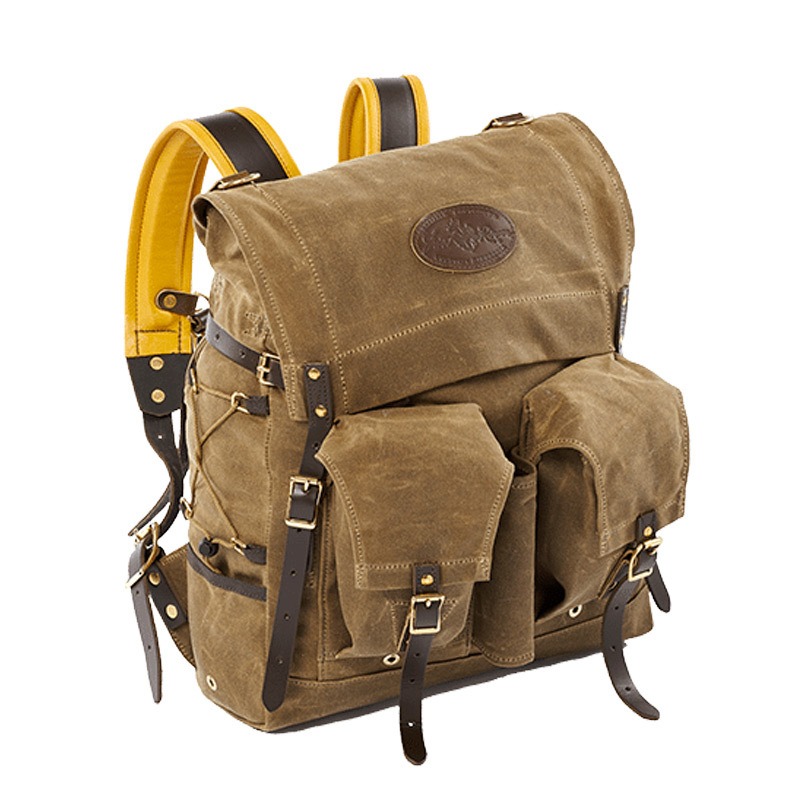 These beautiful packs are made in Duluth, Minnesota by a company called Frost River.As they are all hand made to order they are not available in large quantities and sell out very quickly! These packs are built for a very specific tasks (hauling the stuff that will sustain you) in a very specific environment (the Northern Wilderness). In this setting, things like a seam ripping or a sidewall tearing or a strap breaking - little failures that would be an annoyance in everyday life - come with huge consequences. Which is why Frost River make every pack and every bag in the manner they know to be the most effective at delivering superior performance—The old way. Their forefathers - the loggers and trappers and traders and adventures who called the deep North Woods home - relied on their packs to perform in unforgiving and unrelenting environments. That expectation, that urgency for performance, has been passed on to the modern day Frost River Company. These packs are all hand made without compromise from the highest quality components. If you are one of those people who like to take everything with you, just in case, then the Isle Royale Mini pack is for you as it is designed to carry heavy loads. It will carry a lot of kit! Part of the Isle Royale Family of bushcraft packs the Isle Royale Mini is the smallest of the trio but packs just as much punch. The twin pockets straddle an axe sleeve, lash squares at the bottom and an extended hood allow overstuffing and lashing stuff to the outside. 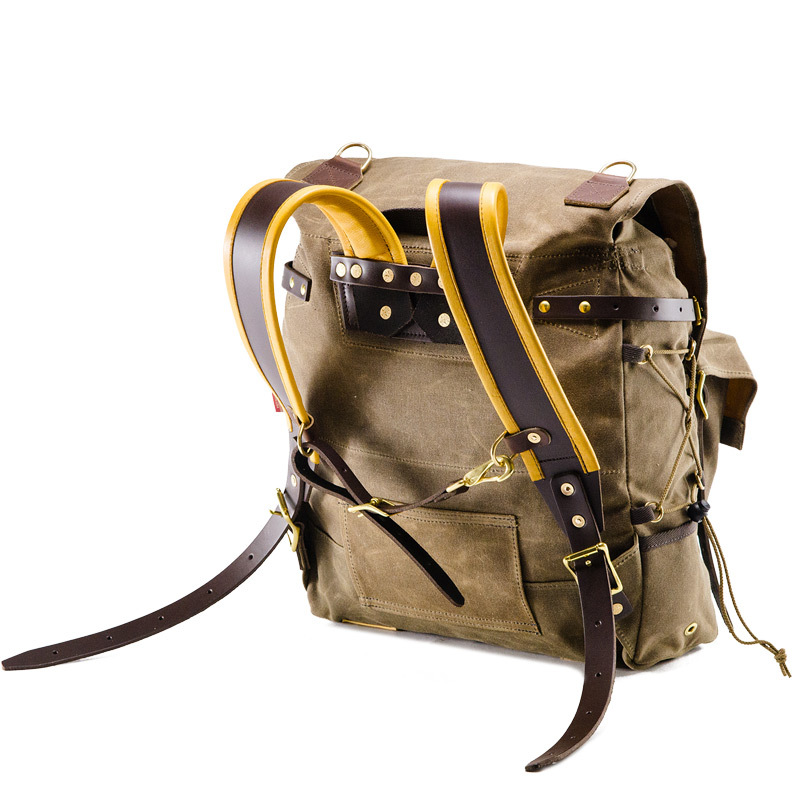 Built from waxed canvas, great leather, solid brass… it’s made to last. 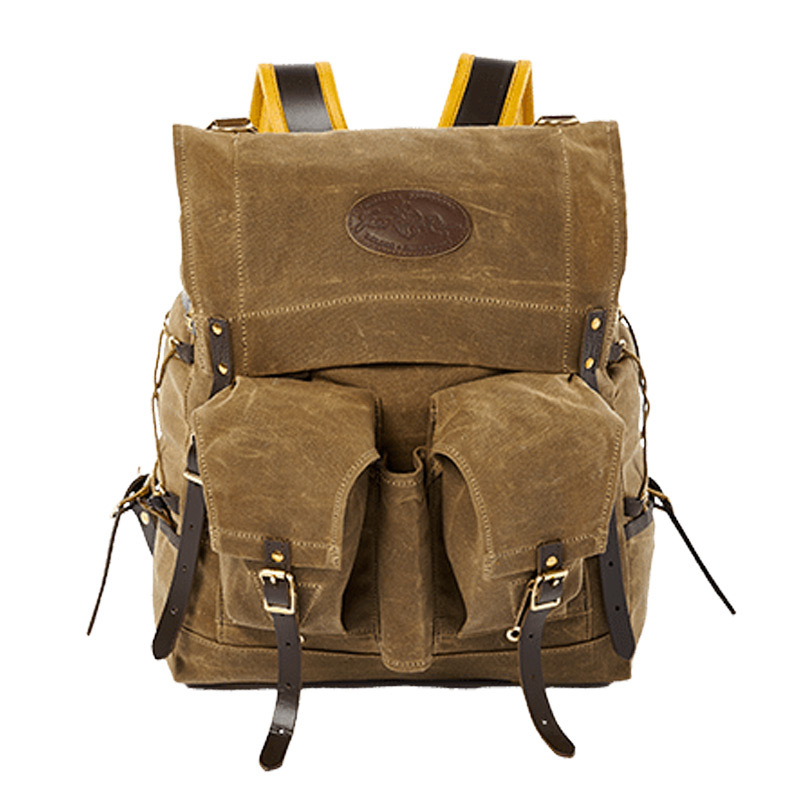 Due to the natural characteristic of the waxed canvas and leather used in production, each pack is individual and will have slight colour variations, this is to be expected and is in no way a fault with the product. uilt as full featured canoe packs, both the Isle Royale, the Isle Jr, the Isle Royale Mini. are designed to be relied upon to haul heavy loads into and out of the wilderness. Pockets on the back of the pack make for a slim profile to aid travelling off trail without becoming entangled in brush. Compression Syst: Leather strap and buckle, para cord and d-rings.